This is a surgical procedure where a new lens is permanently implanted and functions in a similar manner to the natural eye. With it, your eyes can focus from near to far in a comfortable, non-intrusive way. The lens requires an outpatient surgical procedure with a resulting lifetime of improved vision. Anyone over the age of 45. In our 40’s the lens of the eye starts to become rigid and loses its ability to “accommodate” or focus. That is why many of us need reading glasses or bifocals. This condition of the eye is called Presbyopia. Cataract patients. Previously, when a cataract was removed, a monofocal lens was implanted in the eye. The patient would need glasses (bifocals or trifocals) to ensure both near and far vision. 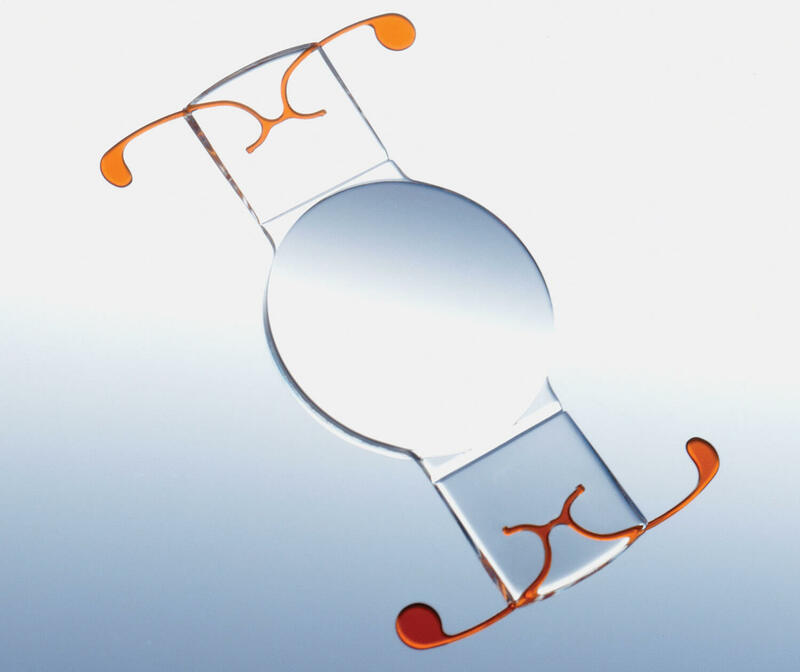 The Accommodative IOL can be used instead of the monofocal implant and greatly reduce or eliminate the need for glasses. This new lens replaces the natural lens inside the eye. The new lens is made with tiny hinges that allow the patient's eye muscles to change the lens position when focusing on objects at far, intermediate and near distances. While everyone heals at a diﬀerent rate, most patients return to his or her normal work or lifestyle in a day or two. The focusing ability of the lens will not be fully realized for 6 to 8 weeks after the procedure. The eye must re-learn how to focus on objects at various distances in order to see clearly. From patient information packets and videos to consultative sessions with physicians, Norwich Ophthalmology Group invites your questions. Please get in touch today by calling our oﬃce. We look forward to serving your needs.